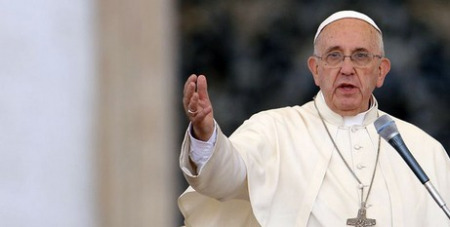 Pope Francis has warned bishops at the Synod on the Family not to be taken in by conspiracy theories, as conservatives and liberals reportedly engage in Machiavellian attempts to manipulate the outcome, reports AFP on Yahoo7. Vatican spokesman Fr Federico Lombardi on Thursday confirmed reports that the Pontiff had warned bishops and cardinals behind closed doors on Tuesday not to get caught up in “the hermeneutic of conspiracy”. The phrase, better translated as conspiracy theories or a conspiratorial mentality, comes amid concerns within the conservative camp that new methodology being used in the three-week meeting favours the liberal wing who want the Church to be more welcoming to homosexuals and remarried divorced people. There were rumours in the run-up to the summit that a preliminary Synod on the family last year was “rigged”, with progressives publishing without warning an early report seen as revolutionary in its opening to lesbian and gay believers. The draft text was spiked by enraged conservatives, but reports that the agenda this year has been stitched up to make sure the most contentious issues will not be discussed until the last moment – when no-one has the time or energy left to argue – have fuelled fresh fears.